"There are no supported audio device available. You need to close the application. Click OK to close the application now"
I don't understand it because I have the Creative software installed ok and supporting the sound without any problems. In Device manager the audio device comes up as 'High definition audio device' and uses driver: 6.1.7600.16385 from Microsoft. I tried using the Creative drivers which show up as 'soundmax HD audio' however these do not allow any of the Creative products to run properly. Please can anyone offer any help? Or even just confirm that DDL can work with my onboard sound? The only work around that I could use for this was to go back to basics and use the analog outputs aswell as the optical out on my motherboard and connect them both to my av receiver. 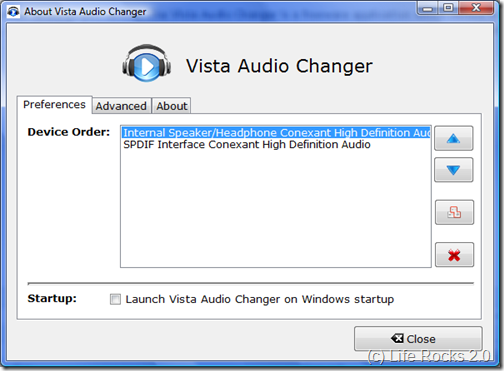 I then used a program called vista audio changer which will automatically switch between sound outputs for you when it sees specific processes running. The program also works in windows 7, I haven't tried it in XP. If these don't install, then you don't have a real X-Fi Extreme Audio. You probably have "soundmax HD audio" which is a very low-end sound chipset. Not the answer you're looking for? Browse other questions tagged windows-7 audio spdif dolbydigital or ask your own question. Sound from both speakers and headphones with SoundMAX ADI AD1986A on Windows 7: possible? How do I know if a motherboard's onboard audio will be compatible with games?